In the world of email clients, there aren’t very many choices if you want something that works well, feels smooth, and has pleasing aesthetic design. Most users are probably familiar with Outlook and Thunderbird, but not much past those two. But in recent years, Postbox 3 has really risen to the top as one of the best email clients on the market. Postbox 3 is resource friendly, packed full of features, and extremely pleasant on the eyes. I use it and I’m a big fan, preferring it over Gmail’s web interface and alternatives like Thunderbird. It does everything I need it to do and I’ve never once struggled with a learning curve. We’ve done Postbox 3 giveaways in the past, but here we go with another one because it’s that good. Postbox 3 is available for $9.95 for Windows XP, Vista, 7 as well as Mac OS X (Snow Leopard to Mountain Lion). 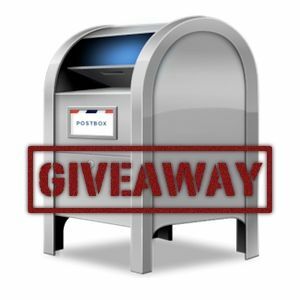 This week, we’ll be giving away 25 copies of Postbox 3 worth a total of $250 for FREE! Do you want a copy? Of course you do. Procuring one of these free copies is extremely easy. All you have to do is read through this review and view the giveaway details at the bottom of this post. What are you waiting for? Go on! The Postbox 3 interface is reminiscent of most email clients–mostly because this design has proven itself over and over again to be efficient for viewing and managing emails. You’ve got the primary panel that organizes all of the email accounts you have. Within an account, you have 2 more panels: one for viewing stored emails and one for viewing actual email content. As you can see from the screenshots, Postbox 3 allows you to toggle between two modes. I like to call these modes the “Thunderbird” and the “Outlook,” though Postbox 3 officially names them as Classic mode and Vertical mode. Vertical is my preference because it’s just so flawless. Postbox 3 interfaces with most email services and automatically detects the necessary settings so that you don’t have to dig through and find all the manual addresses, ports, and whatever else you would usually need. If you use Gmail, all you have to do is type in your email address and password, and the program will do the rest. I haven’t tested it personally, but I’m sure the same can be said for the other big-name mail services, like Hotmail. Once you’ve created an account, everything is good to go right out of the box. I didn’t have to do anything else — it immediately started downloading all of my emails from the servers and it was smooth sailing from there. Postbox 3’s features and design really lend themselves towards ease of organization. I’ve never had to look around for more than 1 minute before finding that particular email that I needed, whether it was unread, trashed, sent, unsent, drafted, or whatever else. If you like to handle all of your email-related business inside one program, Postbox 3 can do it. Open emails and links within tabs so that you can quickly switch between important emails and links as you need them. Postbox 3 also stylizes conversation threads so that it’s quick to gloss over certain response chains and immediately glean the information you need. This right here — the conversation view — is one of the main reasons why I use Postbox 3 over Thunderbird. And like most email clients, Postbox 3 can handle folders and topics (i.e., tags). You can set certain emails with varying priority levels or you can mark them as “to be done later” to build a sort of simplified to-do list. I love that I can mark an email as important and come back to it later without a hitch. Postbox 3 features an addon system that allows you to extend or alter the functionality of the program. The number of available addons falls short of other clients like Thunderbird, which has a massive community backing, but there are enough that you won’t feel like it’s a wasted feature. You can view a list of available Postbox 3 addons here. Keep in mind that version 3 is still new, so it may take some time for addons from previous versions to catch up. There are a few options that you can fiddle with in Postbox 3 that let you customize your client to your own preferences, but you probably won’t find anything that completely revolutionizes the emailing experience. After all, Postbox isn’t trying to be avant-garde; rather, it aims to make everything easy and sleek. Postbox 3 supports: separate email accounts, signatures, custom fonts, local storage, POP, IMAP, SMTP, plain text and HTML, spam filters, sound alerts, and sharing on social networks. Apart from the usual email client stuff, Postbox 3 has a few advanced features that may ease some of the inconveniences of other email clients. Gmail Integration: Gmail is one of the most popular and robust email services out there. Postbox 3 natively supports a Gmail interface that seamlessly handles labels, archives, Gmail keyboard shortcuts, and conversion of dates into Google Calendar events. Sync with Apps and Services. Postbox 3 integrates with a number of third-party services, including Dropbox, Evernote, iCal, Google Calendar, Facebook, Twitter, and more. Canned Responses. Build any number of preset templates that you can use for sending automated replies. If you receive a lot of emails of a similar nature, canned responses can save you a lot of time. Summarize Mode. 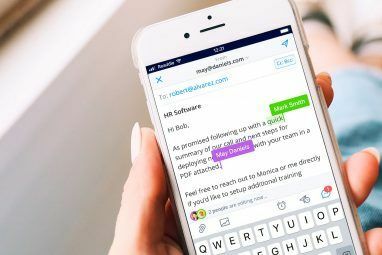 This feature provides a clean and beautifully formatted who-said-what-when email that lets message recipients jump into discussions with more clarity, context and insight. Basically, a more informative version of quoting emails in a reply. Ultra-fast, Complex Search. Postbox 3 executes searches even faster than previous versions. For advanced users, you can use search operators to create advanced search queries to find those pesky, elusive emails. Anti-Phishing and Anti-Malware. Postbox 3 protects users from viruses, spyware, and trojan horses by checking emails against a local database of suspected phishing or malware sites and displaying a warning for potentially malicious emails. Again, we’re giving away 25 free copies to all of our loyal and beloved MakeUseOf fans and readers. As a reminder, Postbox 3 runs on Windows XP, Vista, 7, and 8 as well as Mac OS X (Snow Leopard to Mountain Lion). Congratulations! If you were selected as a winner, you would have received your license via email from jackson@makeuseof.com. If you require any assistance, please get in touch with jackson@makeuseof.com before Oct 5. Enquires beyond this date will not be entertained. Double your chances to win by following us on Twitter! We’ll be hosting the this giveaway on our Twitter stream as well! Find out more by following us. This giveaway begins now and ends Tuesday, September 25th. The winners will be selected at random and informed via email. have you informed the winner of the result? Just want to know if I was lucky or if I have to buy a license. Postbox looks very interesting but I will not end up with two licenses. Thank you makeuseof for this app! are the winners known already? They have not been announced, yet. Please give it a few more days. I've never used an email client but Postbox 3 looks really promising. I would love to be bale to use this program. I love your site and getting your emails! So much information to read and great ideas! I am a regular visitor of your site since last 4 years. I really like your efforts. Keep up good work. all the best. It's awesome for us to hear from readers who have been returning to us for so long. Great to have you! It's my pleasure. Thank you for your comment. I highly recommend your site to my group for latest website news and giveaways. Once again thank you all for making such wonderful website. I'd love to win a copy of this for Mac and it ends on my birthday. Just saying! I am surprised nobody has suggested MailStore for backing up your email. This will save your email no matter where it lives. You can archive it by completely removing it from your service provider, or simply make a backup copy. This looks awesome, fingers crossed! Sorry, not a month back but a fortnight back. Awesome! didnt know we could use our points! I got Postbox months ago via MUO, believing it was a unique mail client with a tight, optimized backend that was capable of handling heavy duty content. Turns out it uses a fork of Thunderbird for the grunt work, which I had earlier abandoned due to being flaky at best, randomly crashing merely by dragging a window. Postbox is a bit more robust than that, as it turns out, but optimized it is not. I wish I had known of it's Thunderbird roots - I migrated from Forte Agent with an archive containing nigh on a decade of email. Where Agent could search that mail with nary a blip on the CPU, Postbox struggles when I merely select another folder. Now I know it is unlikely to ever improve, I'm looking at a fun backward migration. Now it gives me the option to use my points!?! I tried to enter the giveaway by using my points, but it told me I had to be logged in to do it. I was already logged in, so I logged out and logged back in. It still told me to log in. Why?